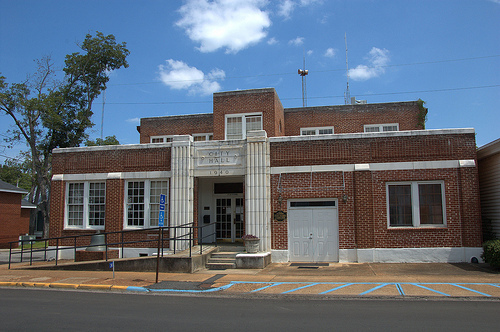 Cuthbert’s Mid-Century Modern City Hall was a project of the WPA, near the tail-end of funding for the New Deal agency. It’s a quiet landmark of governmental architecture and utilitarian design. 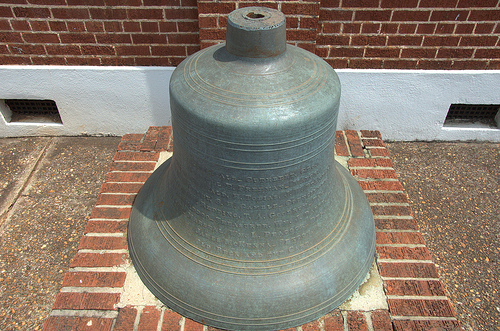 The bell seen below lists the names of the committee members who oversaw its construction.